I got this hoping that there would be more room for the saw, blades, and rip guide than there is in my plastic case. While the footprint of this case is much larger than that of the plastic case, there is less room for the saw's cord. As the other reviewer noted, this case is nearly a cube. The cord has to be kinked sharply to one side so that the case can close, and this will cause the cord to short eventually. 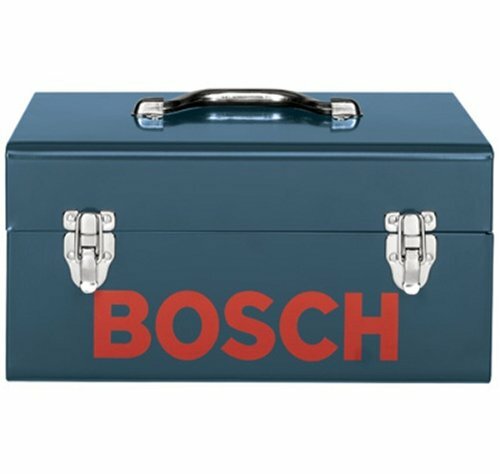 (I had the same problem with my Bosch reciprocating saw's case.) The case I got was also poorly made. The lid was not aligned and the latches were loose. The case was returned. The photo provided for this item is wrong. 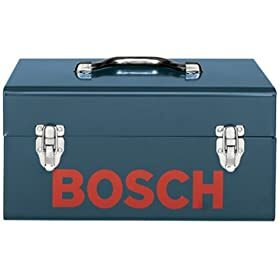 As you can see from the description, the case is almost a cube, not the oblong toolbox pictured.